Hey guys! For me this is the perfect outfit for the Fall rainy days. The perfect trench coat with this amazing bag and shoes, do I need to say more? My all time favourite bags are from Yves Saint Laurent (Saint Laurent now), they never go out of style, you can wear them from 18 to 80. Since the outfit was in beige I added these red pumps as a pop of colour. Love light outfits to cheer me up in these rainy gray days. Olá! Para mim este é o outfit perfeito para estes dias de chuva de Outono! 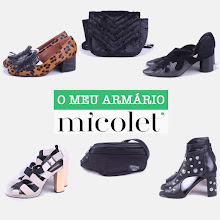 A gabardine perfeita com estes sapatos e mala lindos. As minhas malas preferidas desde sempre são do Yves Saint Laurent (Saint Laurent agora), é impossível estas malas ficarem fora de moda, podem ser usadas dos 18 aos 80. Como o outfit era todo em tons de beige, usei estes sapatos vermelhos para dar mais cor. Gosto imenso de usar outfits mais clarinhos para me animarem nestes dias tão cinzentos. Bem que elegância.. Estás linda!! You look gorgeous. The trench goes so well wit those heels and the bag! Have a great weekend :)! I like that you pick red heels to the rest, light and simple colours of outfit. Love this trench of 90-s! Grate! amei! este é o outfit mais que perfeito! a conjugação de cores está fantástica e a gaberdine é linda! a mala dispensa comentários! O look ficou super elegante! !